Photo Notes: A Winnipeg Parks Rose in our garden bathed in nothing but natural sunshine, with no photoshopping beyond removing some noise. The trick for getting the on black background was to shoot this in perfect light at -1.7EV. 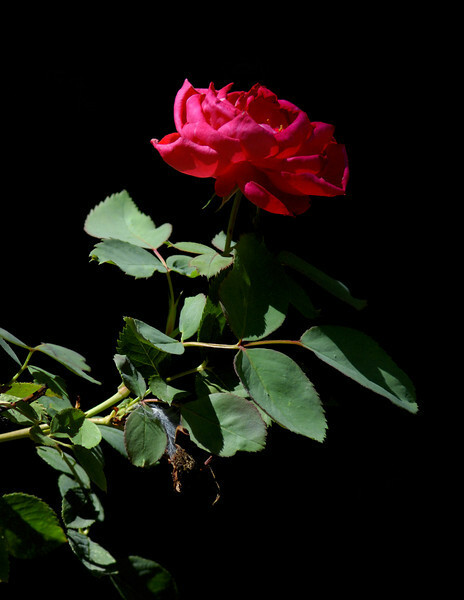 A blue spruce tree is directly behind the rose but is in shade.